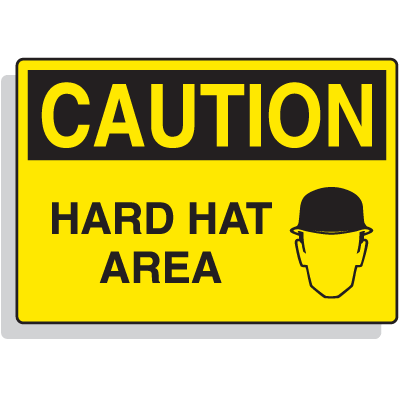 Many on-the-job injuries could be avoided with the proper hard hat protection. 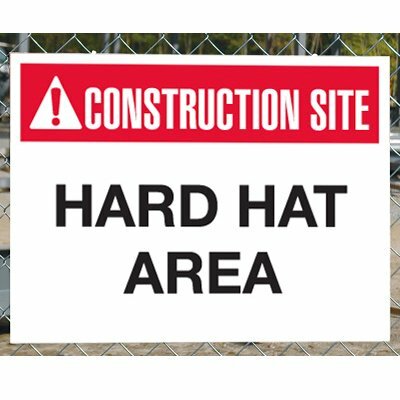 Implement proper safety protocols in your facility with Seton’s Hard Hat Area Signs. Make sure that your employees are protected against dangerous debris, impact from other objects, adverse weather conditions, and other potential hazards. 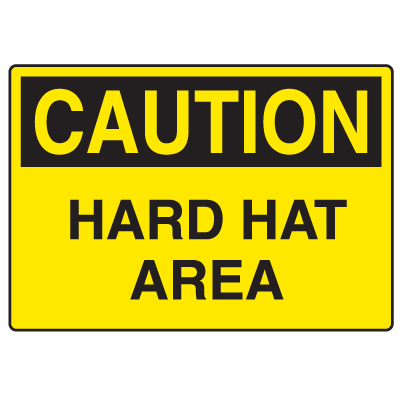 Seton’s warning signs are designed to inform employees to wear their respective hard hats. These protective equipment are necessary at any job that exposes the worker to contacts or exposure to hazardous objects and situations. 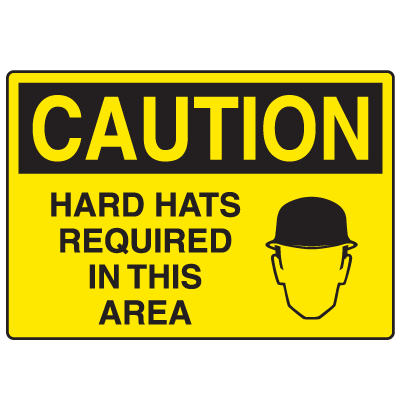 Furthermore, OSHA requires employers to ensure safety of their employees by providing them with the proper safety warnings and equipment. 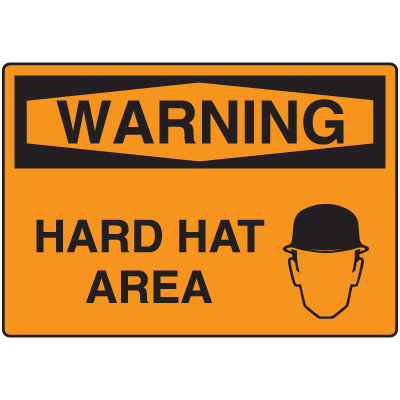 Make sure your facility stays compliant and your workers remain safe with Seton’s warning signs. Remind your employees to wear the necessary protective equipment. When working at a construction site, there is always a possibility of being struck by falling debris, coming into contact against a fixed object or coming into contact with hazardous material. Because of this, workers in construction sites are required to wear hard hats. 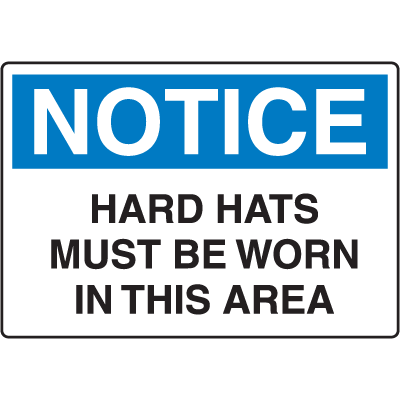 Make sure that employees are always aware of this requirement by posting Seton’s Hard Hat Area Signs in your facility. 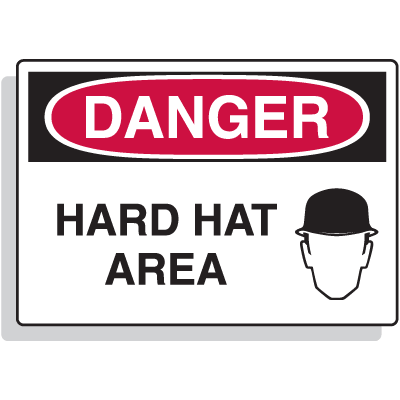 Hard hats are designed to disperse the force of impact along a larger surface area. These hats are manufactured with a suspension design that serves as a shock absorber. Even in a collision that causes a hat to dent, break, or even shatter, the design allows it to absorb the majority of the force. As such, the hat also reduces potential damage to the face and neck. 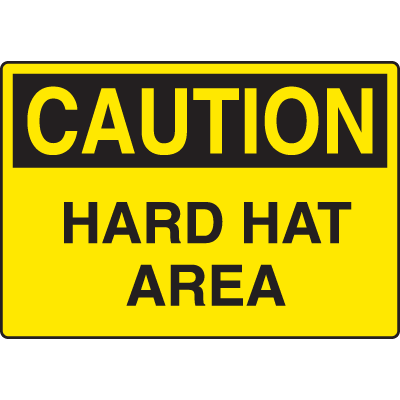 Hard hats are specifically made to be durable, it’s not always obvious whenever one has become damaged. As such, it is recommended that these hats are regularly inspected for quality. Any cracks in the shell should always be checked for, as well as signs of exposure to chemicals, heat and radiation. A few signs of these deteriorations include chalking, loss of surface gloss, and flaking. So prevent your employees from sustaining harmful injuries to the face, head and shoulder area. 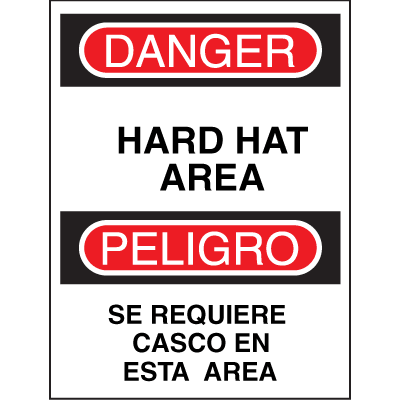 Remind them to wear the necessary protective equipment with Danger Hard Hat Area Signs from Seton.